I got the two for £25, which I thought a bargain, but what do those markings mean please? Made by A.RS, Atelier de Construction de Rennes, Lot No.135 in 1914. It should read 75 DE C for Canone 75mm De Campagne or 75mm Field Gun. Primer made by A.TS, Atelier de Construction de Rennes in 1914. It would have been more informative if I had given you the correct answer! The primer was made by A.TS, Atelier de Construction de TARBES, not as I foolishly typed. Hello all. 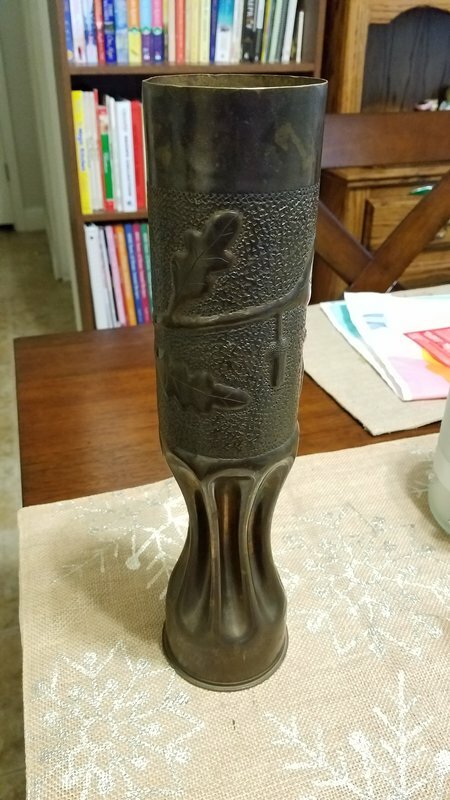 I've recently purchased a piece of trench art brass and I'm unable to identify some of the markings. It is a Remington UMC 75mm case. 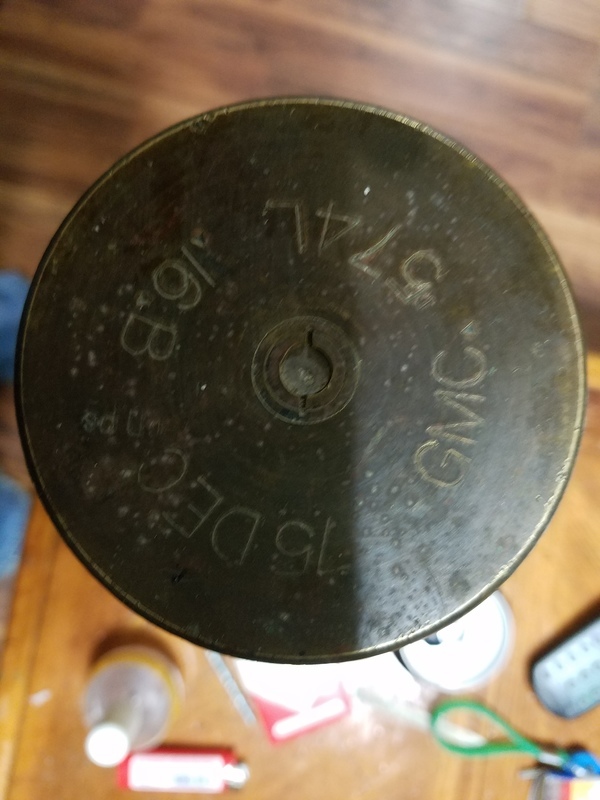 There is no year stamp, only 163L4 16 and "PCFD", which is stamped through with a "C"... Any information would be appreciated. A picture of the markings would be helpful, together with the case length. However, it sounds like it is a Remington made case for the French 75mm guns supplied to the US, although it may be a direct French contract round. If the date is 1916, as I suspect it is, then it will be the latter. Here is an image, case length can not be known as it has been shortened to ~130mm. As I understand PCFD was a purely French designation, but I don't understand the C stamp over. Would it have been a factory redesignation before shipment? 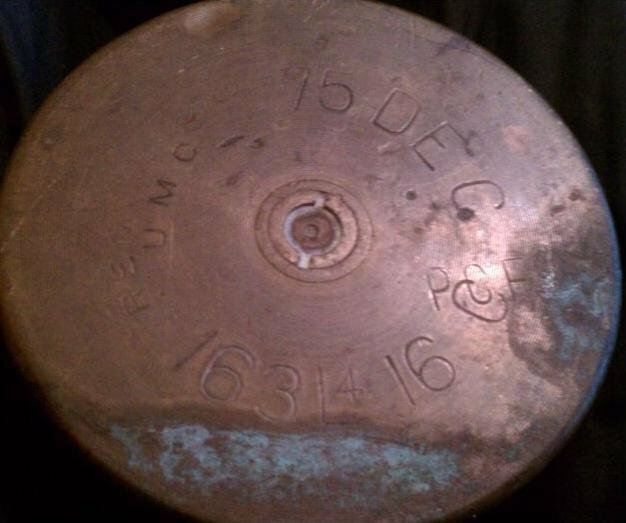 it is definitely a case made on contract for the French and the date is April 1916 as shown by the "4 16" after the Lot number. The "75 DEC" is the abbreviation for "75mm Canone de Campagne" (75mm Field gun". 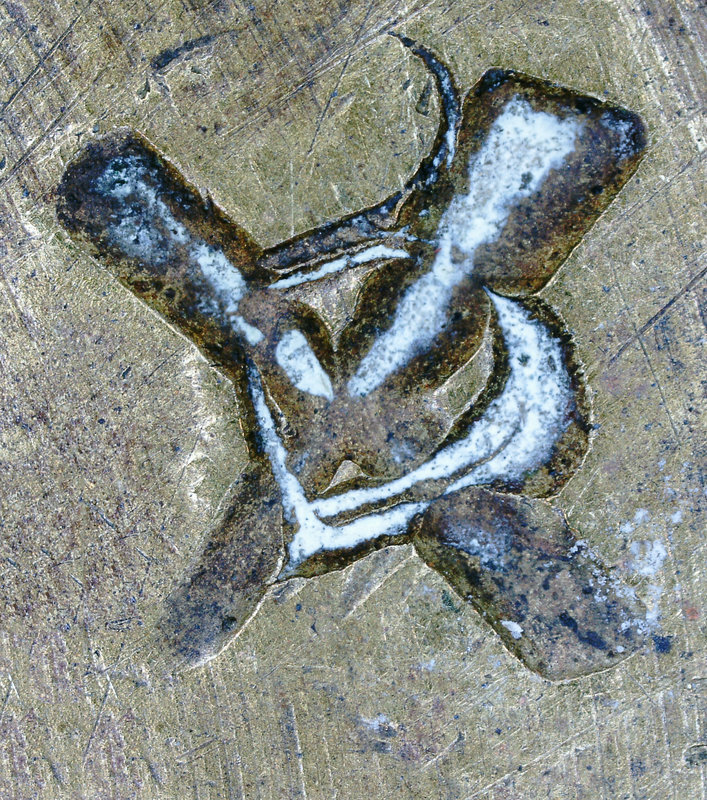 I suspect the "C" may be an identifier of which factory or production line the case was produced on at Remington, as it seems part of the original stamping. 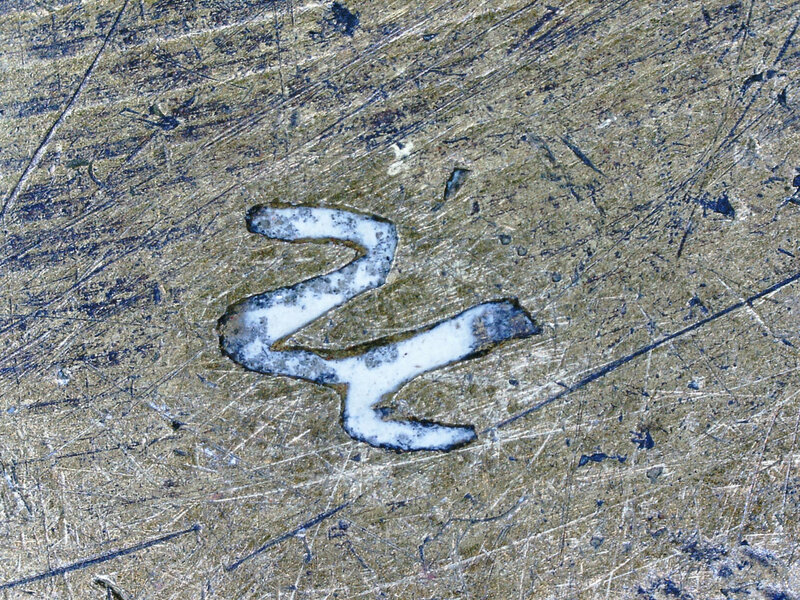 I found this in my back barn can u tell me what thelse numbers and letters stand for. French 75mm cartridge case - others may be able to add more. Can someone help me interpret these markings? 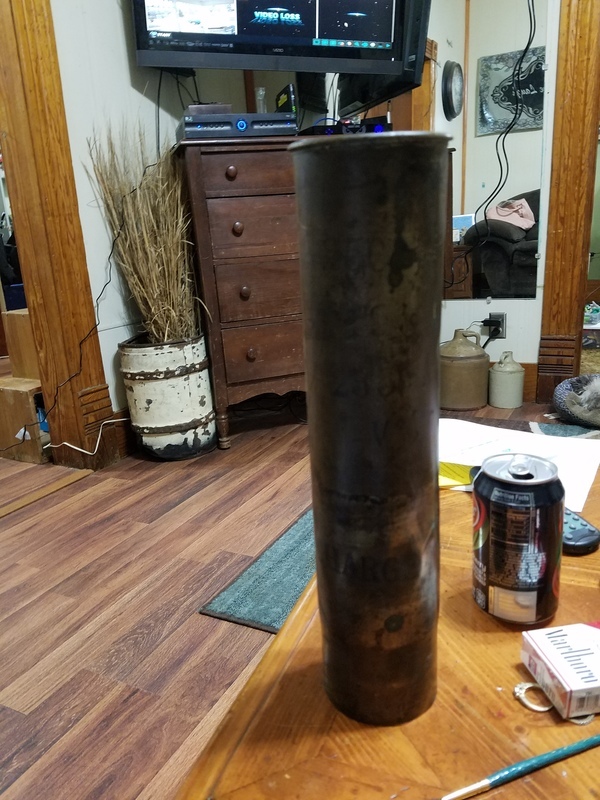 I know it's 1916 French 75mm, but that is all. MAM is Manufacture Arms Marseille, date 1916. 480L probable batch number. 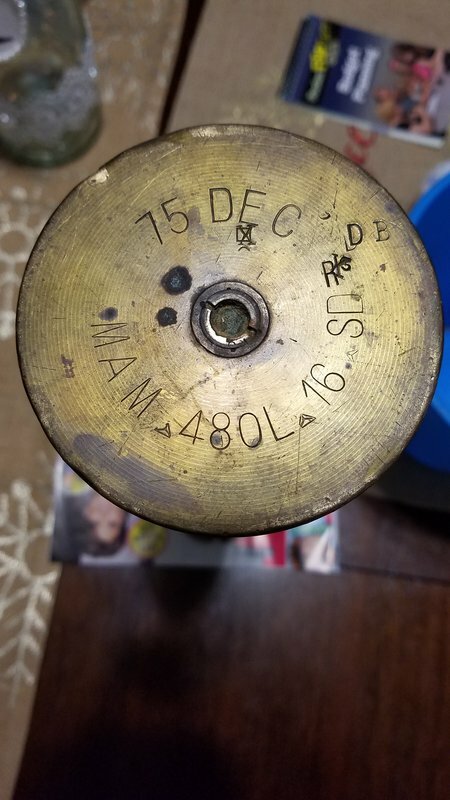 I just picked up a piece of wonderful trench art and thanks to the above posts I know I have an A.RS L676 shell.